I’d really rather not mention this morning’s walk, but my innate honesty determines that I must. Actually, although that wasn’t quite the intention, it extended well into the afternoon of this scorchingly hot day. My plan was to walk the two underpasses loop via the Sir Walter Tyrrell Inn. Somehow it went horribly wrong. I blame the siren deer. I reached Sir Walter in good time with no mishap. As I passed The Rufus Stone I saw a small family trailing after Dad who was clearly aiming for a picnic spot. It was almost two hours later before I met anyone else not in a car. 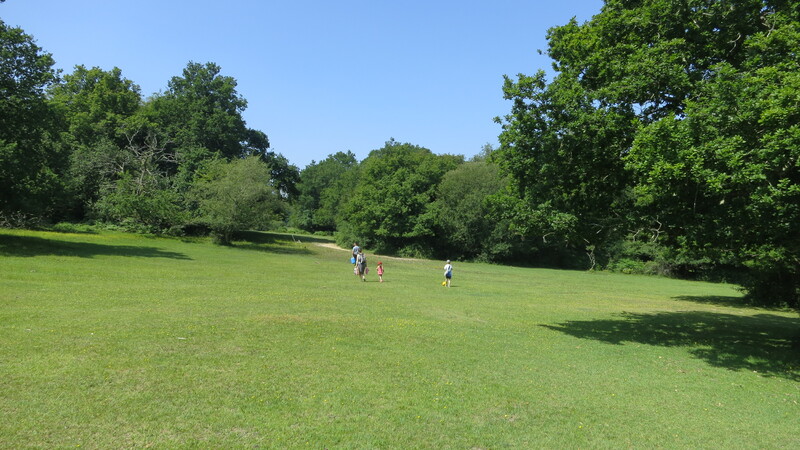 This was a young couple, the man in shorts, and the woman in a bikini, settling down on a blanket with their little toddler in the shade provided by the forest near Suters Cottage. They were local people, and so knew their way there. 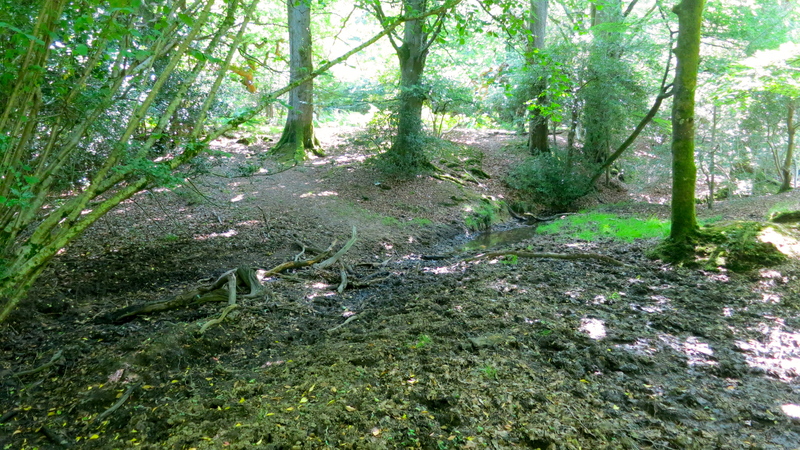 Everything went swimmingly until I reached the now rather dried up stream, and was able to cross it at a hitherto impassible point. Had I stayed on the other side I would probably not have followed the Brook tributary and been distracted by the sirens. They played hide and seek with me in the trees. I managed ultimately to catch them with my lens. If you zoom the picture by clicking on it, and look very, very, carefully, you, too will glimpse some of them, in this cervine version of Where’s Wally? (or Waldo if you are in USA). I believe the ancient sailors who were tempted by the sirens’ calls became somewhat disorientated by toxic influences. I shared their fate, because once the deer finally disappeared I had no idea in which direction I should proceed. 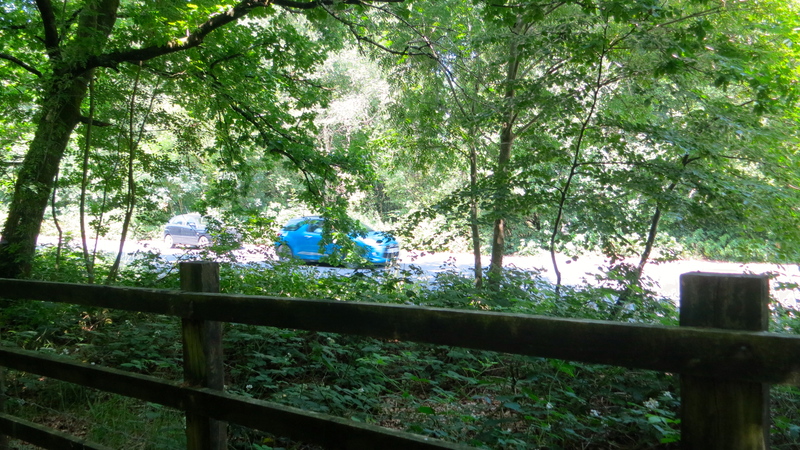 It was the unusual sound of the animals trooping through the trees that had alerted me to their presence, and, as so often on clear, warm days, the A31 noise was very loud. I headed for it. I was confronted by a stout wooden fence, lots of undergrowth, and a ditch, providing a pretty insurmountable barrier to this major road. Not recognising the point at which I reached it, I had a choice of turning right or left and following the fence as closely as I could. I always go left and it is always the wrong option. Well, I couldn’t break my rule, could I? Sod’s law would be bound to kick in. Today was no exception. Sparing a thought for the walkers I had directed to the Sir Walter Tyrrell on the 11th, I tramped on. 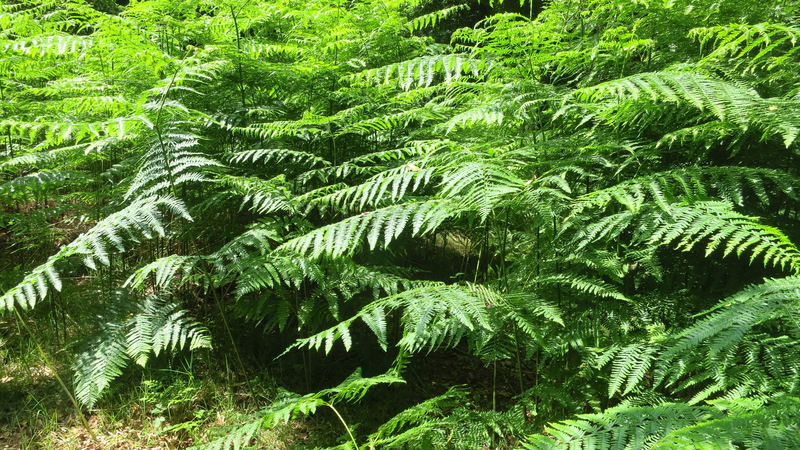 Eventually, above the bracken, I spied a road sign that informed me I was going in the wrong direction. 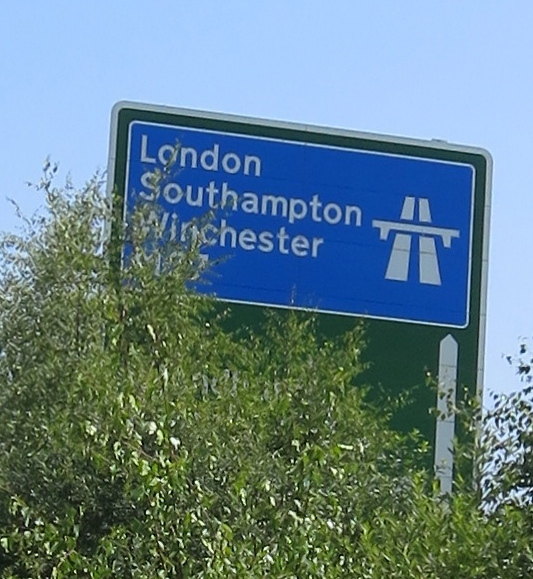 I didn’t really want to go to either London, Southampton, or Winchester. So what next? Well, if I continued I would come to the Cadnam roundabout which was just a little bit out of my way. If I turned around I’d be retracing my steps, and would eventually reach the underpass. But that wasn’t very adventurous was it? 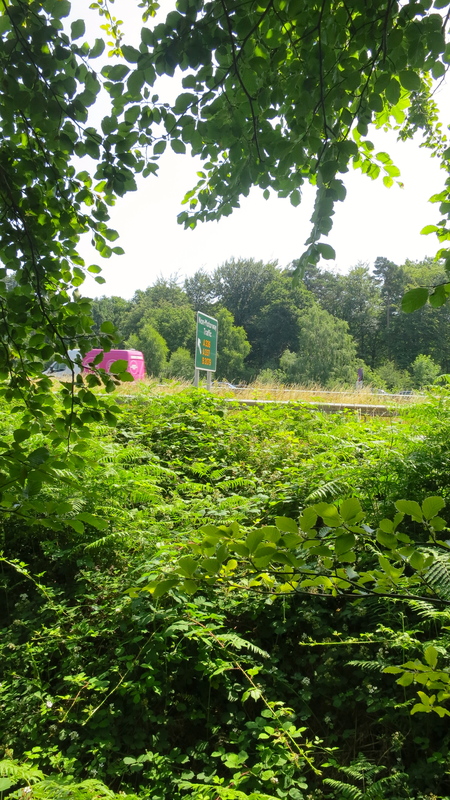 I continued heading for the M27, London, and all points East. roundabout. There was no gate, and no cattle grid. There was nothing else for it. I was going to have to climb. At least I could be confident I would have no audience for the ungainly performance of scaling the stout timber construction. I thought it rather unsportspersonlike of the biting insect that took the opportunity to sink its fangs into my right knee as I straddled the top bar of the fence. In fact I made a better job of the assault than I had of leaping the gymnasium horse in my schooldays. That was a sight to behold. I never did get over it without a certain amount of crawling. 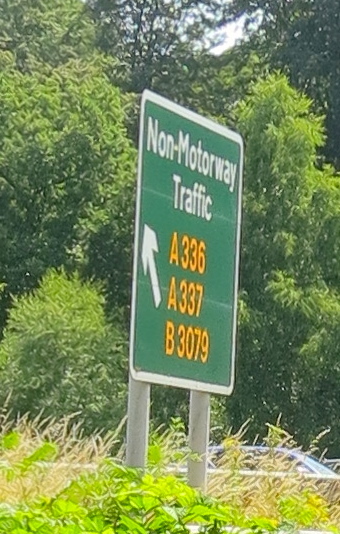 Cadnam roundabout should strictly be given in the plural, because there are in fact two, each of which has to be negotiated before reaching the comparative safety of the rather dangerous A337. The exercise is not to be recommended at any time, let alone the height of summer. I did it. Only two drivers called me rude names and one little boy was rather impressed. 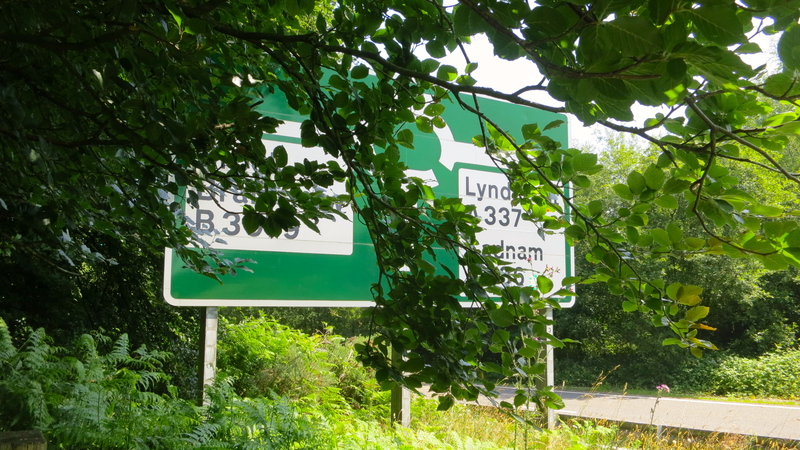 Not far along the A337 I noticed a gate on my left that appeared to be padlocked but wasn’t. 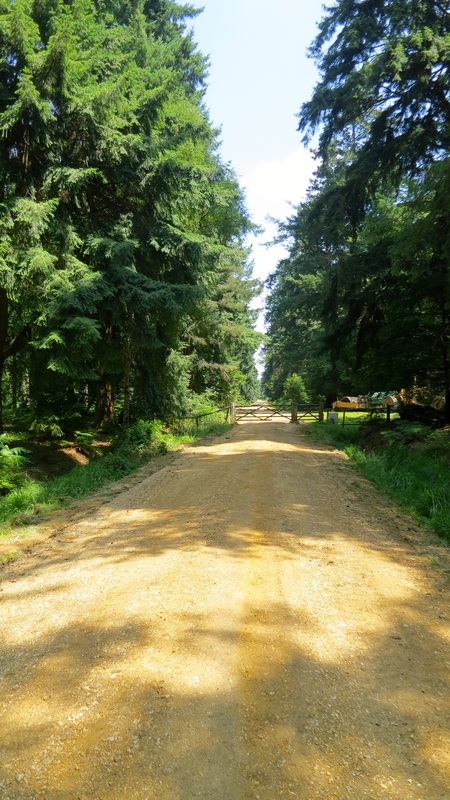 I went through it and walked into the forest keeping the road on my left. 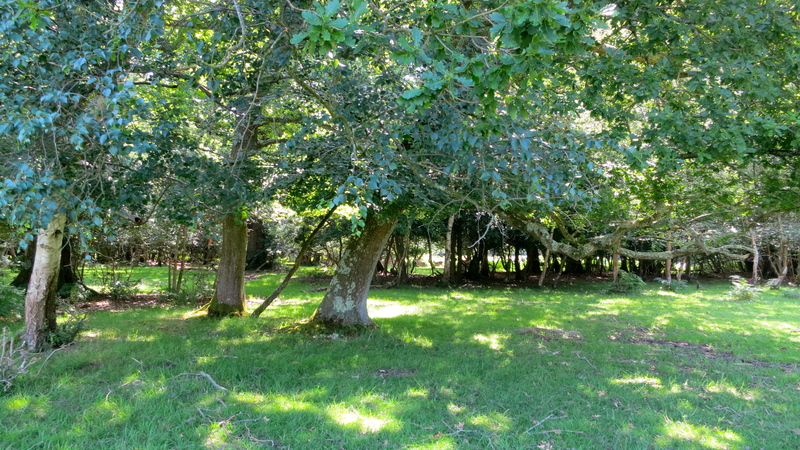 There wasn’t any real footpath and I had to cross a number of dried-up streams, but suddenly…….. Eureka!…….. I came to the gravel road I had discovered on the 10th. I had a result at last. I now knew a safe route from the home side to Cadnam roundabout. 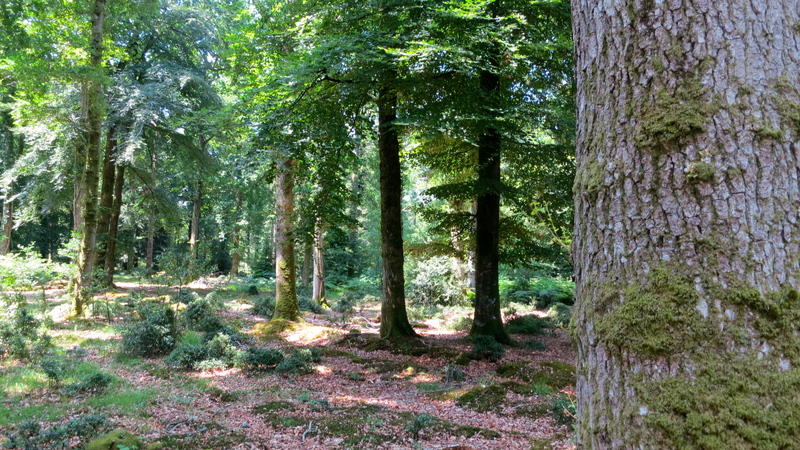 It was a straight line from this wide track, through a narrow, partially obscured, partly soggy, footpath to the gate into the forest that flanked Running Hill. It was on this stretch that I met the couple mentioned above. From the gate I improved on my uphill diagonal so much that I emerged onto the Hill just a few yards from our Lower Drive. 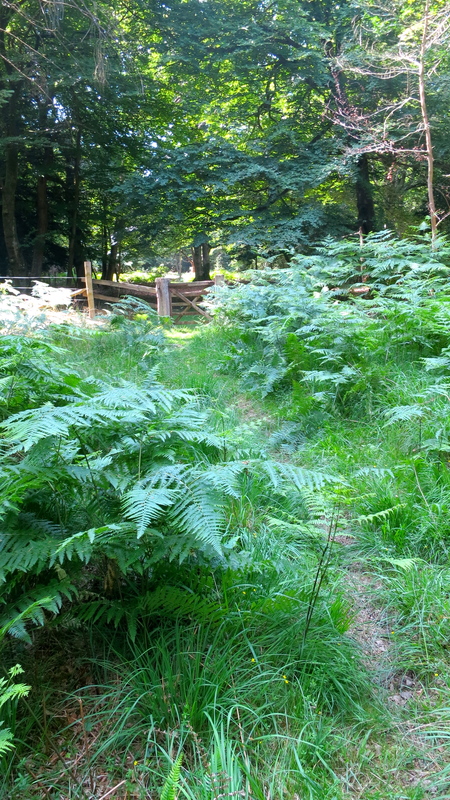 Dave’s path had been totally obscured by bracken that I walked through to my goal. The rest of the afternoon was for drinking water and recuperation. Jackie produced her marvellous chilli con carne (recipe) and wild rice, with which we shared a bottle of Setley Ridge New Forest rose she had given me for my birthday. I finished with rhubarb crumble and custard, from which Jackie abstained. 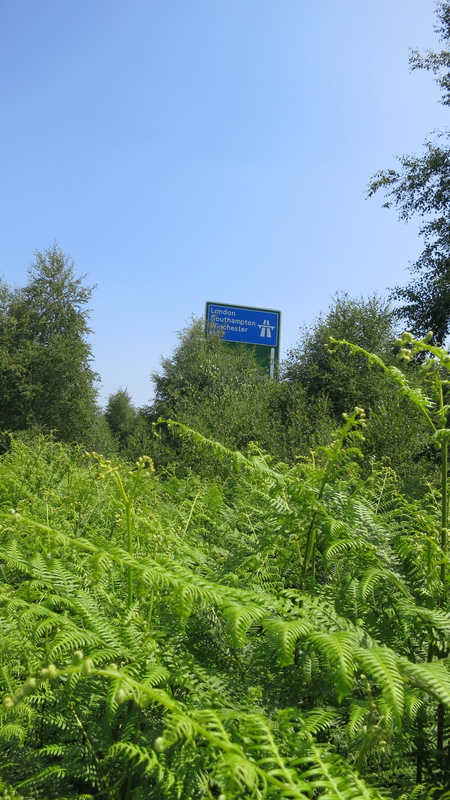 This entry was posted in Uncategorized and tagged A31, bracken, Cadnam roundabout, chilli con carne, deer, recipe by derrickjknight. Bookmark the permalink. Yeah…I’ve definitely been there. Not that exact location. But that turned around feeling where I’m not sure where I am or how to get back.